To encourage users to submit educational experiments we are, for a limited period, offering a free USB DrDAQ Data Logger to people who are willing to carry out and write up one or more experiments for us. Please note this offer is only open to existing users of our products as we are unable to dispatch the DrDAQ until the experiment has been submitted. Please also read through this guide to submitting experiments and also have a look at some of the existing experiments and experiment ideas. If you would like us to suggest a suitable experiment please let us know what subject area and age group you teach. Once an experiment of suitable quality for use is submitted to us, we will dispatch a free USB DrDAQ Data Logger. The experiment once submitted becomes the property of Pico Technology Limited. We reserve the right to edit the content of any experiment submitted. Please try to keep to the following format for writing up experiments. Target age groups — please include actual age groups (eg 9 to 11 year old’s). It’s OK to also include ‘Key stage 2’ or ‘Year 5’ but bear in mind these mean different things in different countries. If the setup of the software for the experiment is fairly simple, then it should be included here (this is after all part of the learning experience). 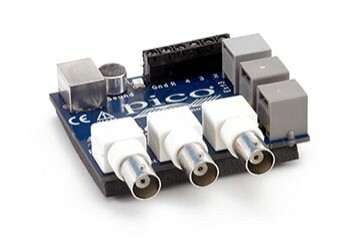 If the setup of the software is complicated and would distract from the experiment itself, then we can create a settings file for PicoScope or PicoLog based on the results files you give to us. The student can then be instructed to simply load the settings file and start collecting data. Instructions on how to carry out the experiment. Some indication of what to expect here would be useful if it can be done without revealing the results. For example in an experiment to measure the pH of fizzy drinks explain that neutral is pH seven and that some drinks are far from neutral. This will give the student confidence in what they are doing and will help them realise if the experiment is not working. This section should contain questions about the results and what the results show. The appeal and usefulness of the experiment can be greatly enhanced by having different sets of questions aimed at different age groups. For example in an experiment to compare the freezing of pure and salt water the questions for younger children might include which beaker of water froze first and which beaker melted first. For older children the concept of latent heat could be introduced. This could include further analysis and discussion of the results, for example in the above experiment questions could be asked about the effectiveness of putting salt on icy roads. Suggestions could also be made for further experiments, for example how does the concentration of salt water affect the results or what results would you expect if the liquids were boiled rather than frozen. The emphasis here is on ideas for further study - results and graphs are not required. Please make sure that all questions you have set the student are answered here. We can’t all be experts in all subjects! Results graphs can be included here, but please remember to also submit the PicoScope or PicoLog data files. Your claim to fame. Feel free to include email contact details (for comments / suggestions for improvements) or a website (if you have published the experiment on the net). If possible experiments should be submitted by email (experiments@picotech.com). If this is not possible, please post them to Pico Technology. Text — Microsoft Word or PDF files preferred. Plain ASCII text by email is also acceptable. Graphics — most formats can be accepted. For diagrams and drawings GIF/PNG files are preferred. For photographs JPG (JPEG) files are preferred. Data files — when performing an experiment, please send us the raw data files (.PLW files for PicoLog or .PSW files for PicoScope).